Personalise this Monogram Chopping Board with Cheese Knives with 2 initials and a date up to 25 characters. 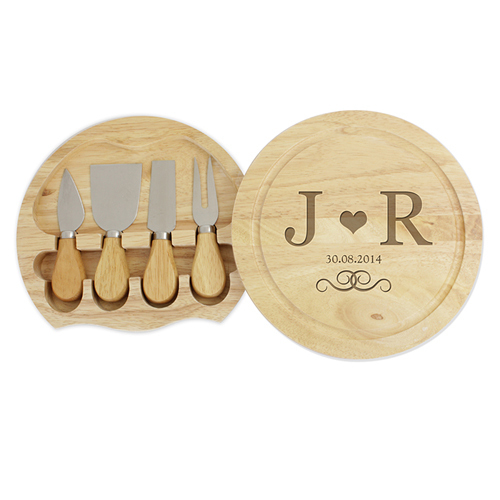 Set includes 3 cheese knives and 1 fork in a convenient holder which can be swung from underneath the chopping board. Ideal for House Warming, Birthdays and Weddings.